Hello and Happy Thursday to you all! as much as I am...though it has rained for over 1 week straight. 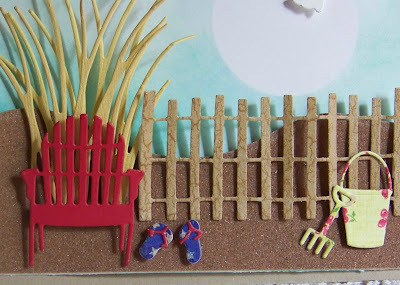 I created my own little beach scene with several fun dies! and SU Pool Party and Bermuda Bay inks. to give me plenty of time to use in the season we are in. 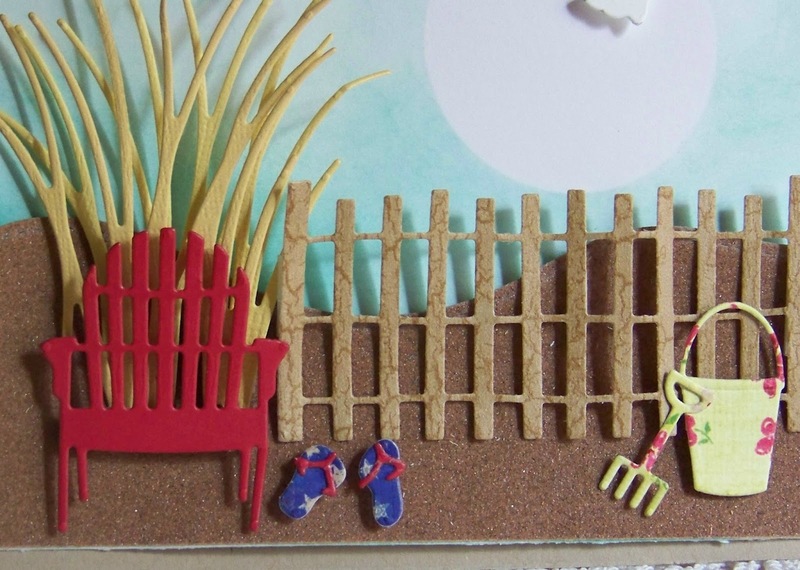 At the Dies R Us store I typed in "beach"
and all these fun dies jumped in my cart!! which were cut from sandpaper. that I cut two of in offsetting colors and overlapped. cut from an old peace of wallpaper. cut from red card stock. cut from paper in my scrap bin. 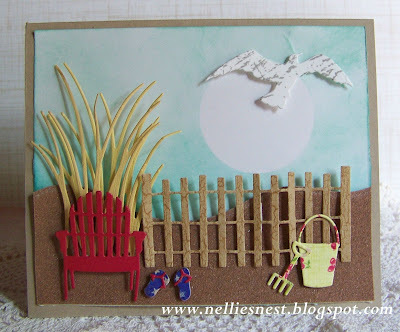 Now how fun are these.....I will have another "lake card"
to share with you next Thursday as well. we have a gift voucher for one lucky random winner! notified when NEW dies arrive? OMG this is SO ADORABLE! 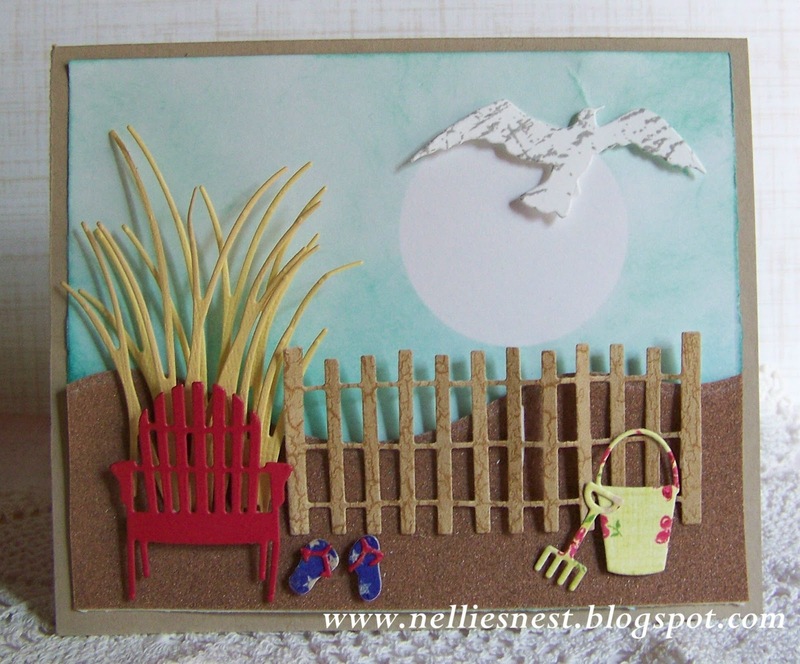 What a fabulous scene you have created with all these cute die cuts! Great job! I love this! Gorgeous scene with dies!